We are currently not accepting any reservations for our mission location in Nicaragua due to civil unrest there. Please contact the office at 508-242-9622 or info-usa@mustardseed.com to be placed on a waiting list for information on when this location will be available again. Mustard Seed Communities' homes in Nicaragua are called Hogar Belen Managua (HBM) and Hogar Belen Diriamba (HBD). HBM houses the younger residents and those who require more intensive care. HBD residents are older and many are more physically independent. 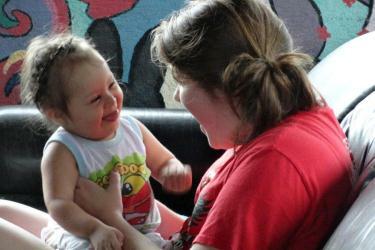 Accommodations: Mission housing is located at Hogar Belen Diriamba with separate wings and bathrooms for each gender. There are 12 beds in the male dorm, 14 in the female dorm and a separate room for clergy. Get a glimpse of a mission experience in Nicaragua. Mustard Seed Communities’ home in Dominican Republic, Hogar Immanuel, is home to over thirty children and young adults with disabilities. Accommodations: Hogar Immanuel has on-site mission housing. New residential care cottages were constructed in 2014 and the existing building was converted into mission team accommodations. There is a dorm for each gender and a single room is available for clergy. 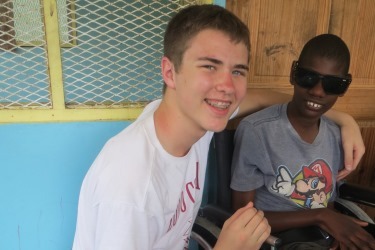 Jacob's Ladder is Mustard Seed Communities' home in Moneague, Jamaica. Located on 150 acres of land, it is home to 90 adults with disabilities. In Jamaica, there are no facilities available for this population after the age of 18. The vision for Jacob's Ladder is to fill this void by providing a home where 400 adults with disabilities can live in peace and dignity. Accommodations: On site at Jacob's Ladder, the mission house is divided into two dorms. There are 12 beds in the male dorm and 12 beds in the female dorm with two separate rooms available for clergy. 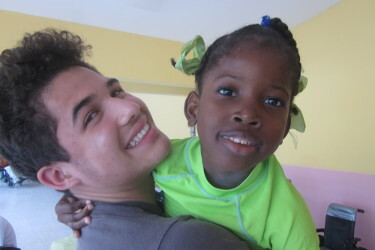 Mustard Seed Communities' home in Montego Bay, Blessed Assurance, is home to over 30 children with disabilities. 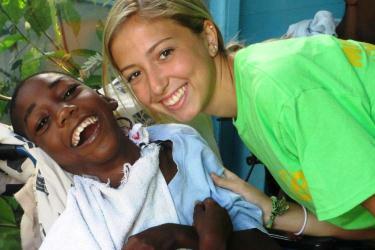 On a mission trip to Montego Bay, volunteers stay at Blessed Assurance during their entire trip. This provides an opportunity to establish close relationships with the residents. Accommodations: Mission housing is on site with separate wings and bathrooms for each gender. There are 12 beds in the male dorm, 12 in the female dorm and a single room for clergy. Kingston, Jamaica is the starting place of Mustard Seed Communities. There are several homes and communities that make up the mission experience when coming to Kingston. Mission volunteers who visit Kingston will have an opportunity to visit MSC headquarters at Mahoe Drive. Accommodations: Sophie's Place in Gordon Town (just outside of Kingston) has a mission dormitory on site. The dorm has a wing and bathroom(s) for each gender with 12 beds in the male room & 12 in the female room. A single room is available for clergy. Gift of Hope is Mustard Seed Communities’ newest apostolate and the 13th home that MSC operates in Jamaica. 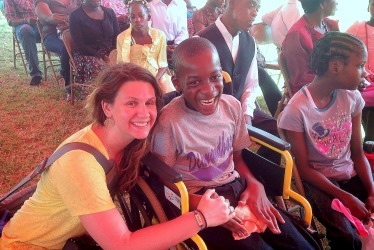 Located in Mandeville, Gift of Hope is presently home to 20 residents with disabilities. The ultimate vision is that Gift of Hope will serve as a home for younger residents between 2 and 12 years old. Accommodations: Mission housing is on site with separate wings and bathrooms for each gender and a single room for clergy.